A table saw is a smart option and a handy tool if you work regularly with woods, and your work involves cutting a lot of them. It saves you time and energy. So, if you are interested in buying a table saw in near future or have just started working with one, there are a few important safety rules to follow in order to avoid possible dangers. When used safely, the work that you can do with it is quite impressive. Never start using any tool or machine without going through its manual. That’s the golden rule of safety. Just go through the user manual once to become familiar with its proper usage, adjustments, parts, possible threats and their precaution. Going by the book will never go to waste. It is always beneficial to gain some practical knowledge by watching the work of an experienced person, before starting out with a table saw. Having seen a practical demonstration, you’ll be better starting out and avoid mistakes that every new user is bound to make. So, use the power of vision to be two steps ahead. It’s not only easier to work with push sticks on a table saw but it is also safer. Using push sticks to push smaller wood materials will make sure that your hands are as away as possible from the blade therefore avoiding injuries. You don’t have to spend money on them, you can make some of your own. Safety equipment for table saw will include eye protection glasses and a hearing protection device. Never operate on a table saw unless you have them on. Moreover, proper clothing is also necessary, don’t wear loose fitting clothes, avoid clothes with laces or broad full sleeve, ties, and also jewelry. The blades of the table saw should always be sharp and in a good working condition. If the blades are sharp, the work will be carried out smoothly and you don’t have to use much force. Too much force is a possible reason for kickbacks and increases the chances of your hand touching the blade. Sharp blades will ensure quality and safety both. Whenever you have to make adjustments to your table saw like changing the blade or something else, do it cautiously, make sure that the blade has stopped completely, and then unplug the table or turn off power to start making adjustments. Taking these simple steps ensures your safety so follow it accordingly. Your work area should always be organized and clean. There shouldn’t be things lying around near the table to avoid slipping and falling over on it. Use a dust extractor to clear the dust below the blade to prevent kickbacks and other accidents. Make a habit to clean the table and the area after every session. Ask anyone who uses table saw, they’ll recommend using a zero clearance inserts with the table saw. Besides providing you with cleaner cut, this item will prevent tiny pieces from falling and getting stuck into the gap between the blade and the throat plate. You can get a ready-made one or a custom made to suit your need. Table saw is a useful tool but also dangerous if not used with care. 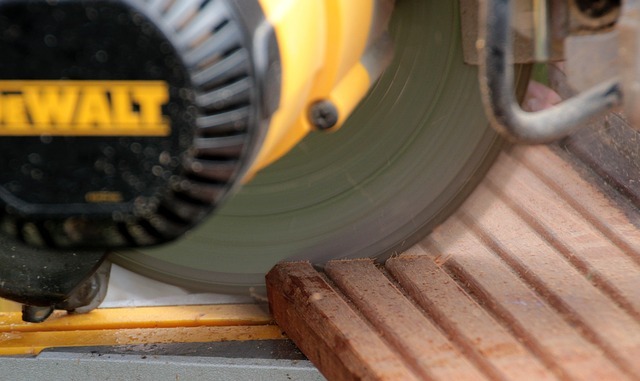 Whether you are a newbie or an experienced person, it’s always important to follow these steps if you own a table saw and work with it regularly. Prevention is always better than cure. A single moment of inattentiveness can lead to unwanted accidents and injuries so follow the safety tips and be safe!